The Grove, a diversified and certified-organic family farm in Riverside, CA used to grow only citrus fruit and avocados. But in order to survive a changing market, it has diversified to include a wide array of organic produce. Hassan Ghamlouch and his wife, Deborah, have operated The Grove for more than 13 years. Their sons Zachary and Jacob are also key contributors to the operation. The farm has been in the family for four generations, dating back to the late nineteenth century when it primarily produced navel oranges. When Deborah’s parents wanted to sell the farm in the early 2000s, she and Hassan decided to purchase it and take over. They based their decision partly on the fact that The Grove’s orange trees are part of the original rootstock planted well over 100 years ago. But Hassan and Deborah knew that if they wanted to keep the farm in their family, drastic changes were inevitable and necessary. Their decision to become certified-organic was made for both health and profitability. Deborah learned firsthand the benefits of eating organic when she switched over to an organic diet while pregnant 20 years ago, and their choice to diversify was rooted in the need to run a viable business. Today, they still grow citrus, including navel and Mandarin oranges, grapefruits, lemons, limes and kumquats. They still produce avocadoes as well, but have added figs, loquats, peaches, persimmons, pomegranates, guavas and Tahitian squash. They’re also beekeepers, having added 50 hives of bees. Acknowledging that organic growing used to be viewed as a fringe endeavor, Hassan says the decision to shift over to this type of farming grew out of his and his wife’s philosophy and core beliefs. Now that organic production is more widespread, The Grove is doing well. The farm has been diverse and certified-organic for more than 13 years—it lost money during the first two years, broke even the third year, and has turned a profit ever since. Hassan, who serves as senior director of facilities management for housing at the University of California, Riverside, is the only member of the family who works off the farm. Despite The Grove’s success, Hassan knows that more tweaks and adjustments are needed for sustained prosperity. Ultimately, Hassan knows that his farming success is not merely tied to The Grove, but to all Riverside and Inland Empire farmers and those that depend on them. 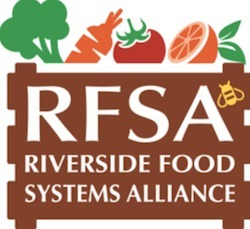 Hassan and Deborah are both part of the Riverside Food Systems Alliance (Deborah serves on its executive committee) and the Riverside Food Co-op. “The local food system is on the rise in Riverside, along with increasing demand in the Inland Empire for local produce,” he says. With this increased demand, they are committed to selling their organic produce at a fair price. “Our philosophy is to grow organic produce and price it fairly so that more people have access to good food,” says Deborah. 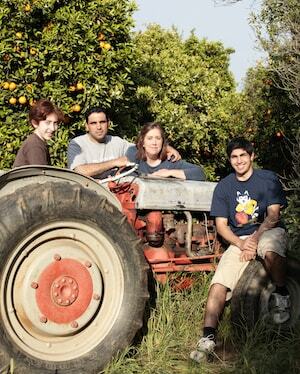 “We want local food to be affordable and accessible in the Inland Empire,” Hassan says. All excess fruit from The Grove is donated to America’s Second Harvest, a food aid organization.